Deaf Centre Manitoba Inc.: Disney On Ice with ASL Interpreter provided for Sunday, February 19th!! 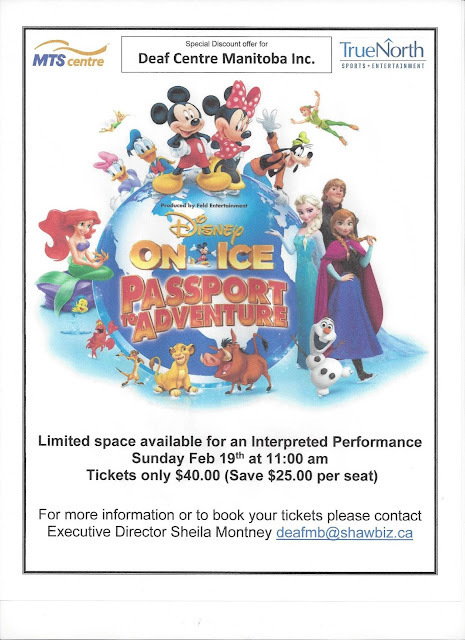 Disney On Ice with ASL Interpreter provided for Sunday, February 19th! !